“Here, the same mechanism we see causing movement and deformation in the hot, pressurized rock in the upper mantle is also occurring in the lower mantle. If this increased activity is happening uniformly over the globe, Earth could be cooling more rapidly than we previously thought”, added Dr Manuele Faccenda, Universita di Padova. The study, published in Nature Geoscience by researchers from UCL, Universidade de Lisboa, Universita di Padova, Kangwon National University and Tel Aviv University, provides evidence of dynamic movement in the Earth’s lower mantle where ancient ocean floors are plunging towards the planet’s core, crossing from the upper mantle (up to ~660 km below the crust) to the lower mantle (~660 – 1,200 km deep). “In a CAT scan, narrow beams of X-rays pass through the body to detectors opposite the source, building an image. 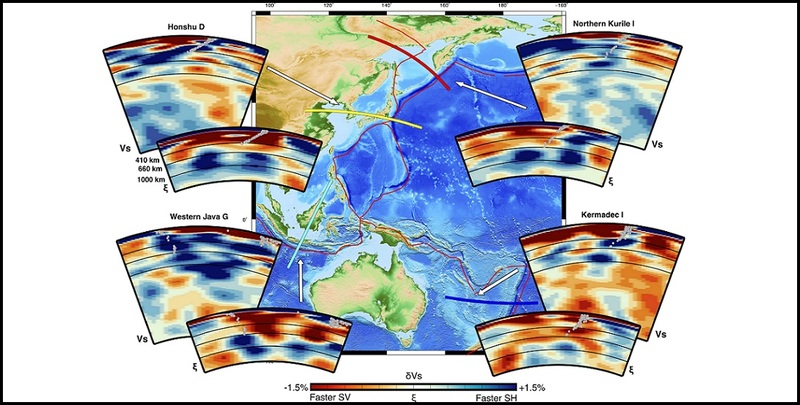 Seismic waves pass through the Earth in much the same way and are detected by seismic stations on the opposite side of the planet to the earthquake epicenter, allowing us to build a picture of the structure of Earth’s interior,” explained Dr Sung-Joon Chang, Kangwon National University.